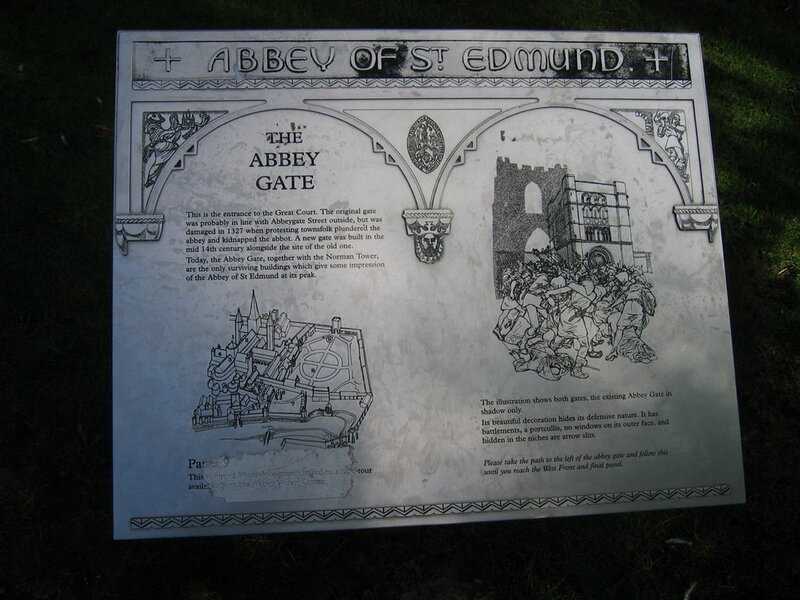 The most interesting part of Bury St Edmond is the abbey complex. 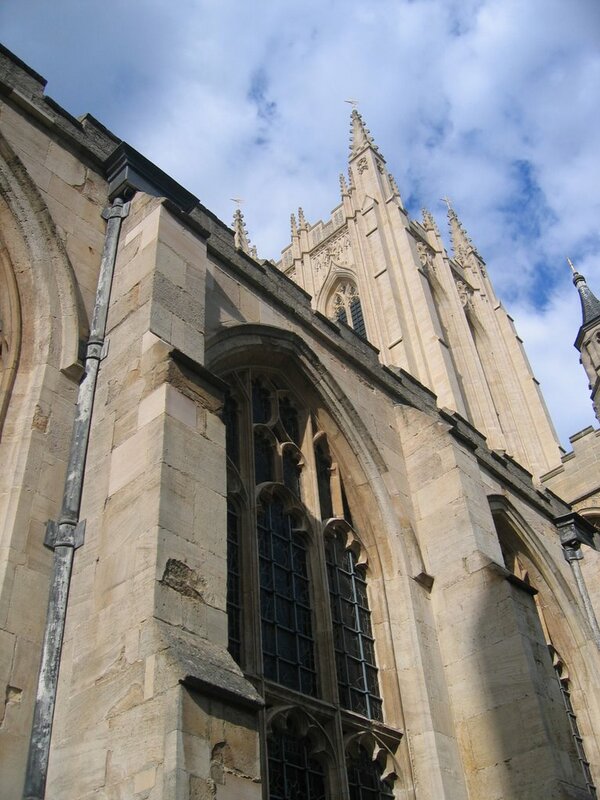 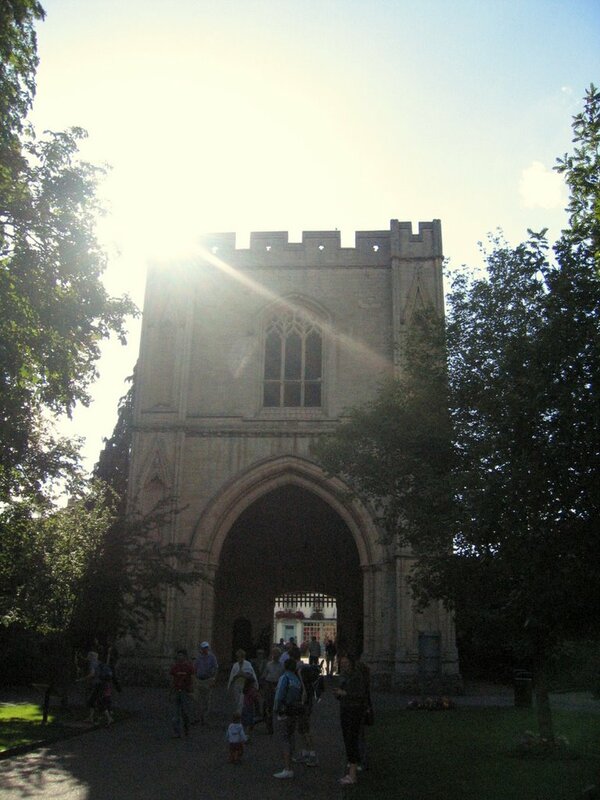 According to the dictionary an abbey is a complex that contains or once contained a convent or monastry. 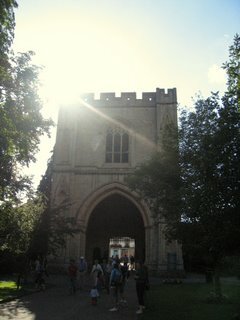 A view of the main church building at the abbey. This was once dwarfed by a larger building which not is little more than a bunch of ruins. A view of the church's spire, which was a suprising recent addition added in year 2000, just in time to usher in the new millenium. 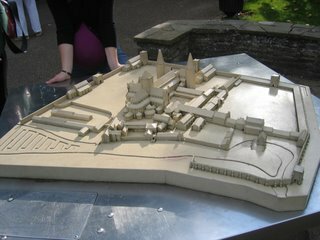 A 3d model of what the orignal abbey complex would have looked like. Having seen this I understand much better the concept of an abbey as portrayed in books such as redwall. The complex has large protective walls (almost like a castle) and many buildings supplying all different services. 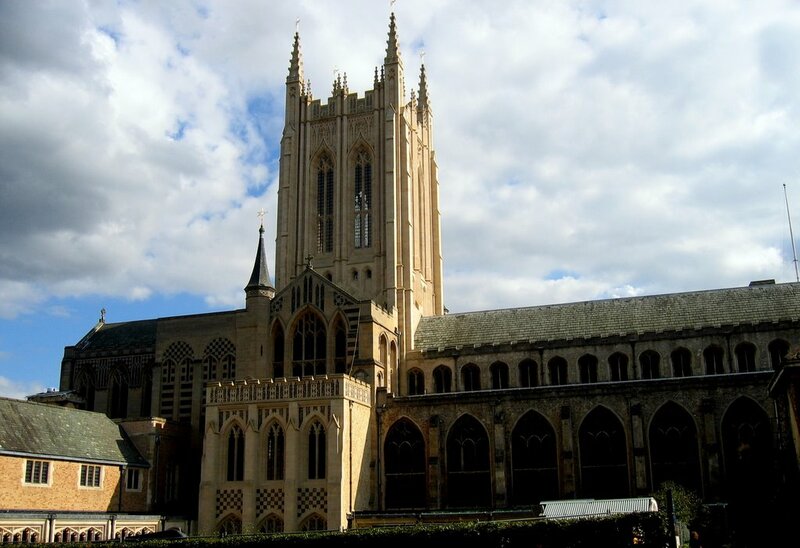 (note: there is a large spire missing from the model). 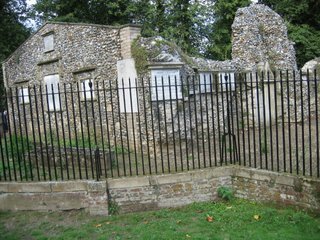 Some ruins from the orignal abbey complex.